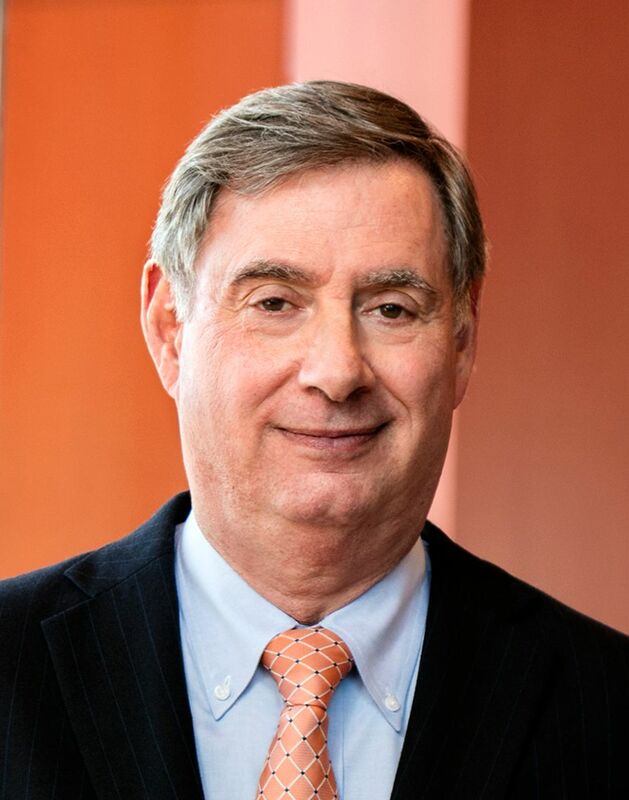 Lee Goldman, MD, MPH, is the Harold and Margaret Hatch Professor, Executive Vice President and Dean of the Faculties of Health Sciences and Medicine, and Chief Executive of Columbia University Medical Center. He serves as Dean of the College of Physicians and Surgeons and also is administratively responsible for the Mailman School of Public Health, the College of Dental Medicine, and the School of Nursing. Dr. Goldman earned his undergraduate, medical, and master of public health degrees from Yale University. He received his clinical training in medicine at the University of California, San Francisco (UCSF) and at Massachusetts General Hospital, and in cardiology at Yale New Haven Hospital. Before joining Columbia University in 2006, he was the Julius R. Krevans Distinguished Professor, Chair of the Department of Medicine, and Associate Dean for Clinical Affairs of the School of Medicine at UCSF. Prior to moving to San Francisco, he served as Professor of Medicine at Harvard Medical School, Professor of Epidemiology at Harvard School of Public Health, and Vice Chair of the Department of Medicine and later Chief Medical Officer at Brigham and Women’s Hospital. How did you decide on a career in medicine? I thought seriously about medical school right from day one in college and laid out a plan to take the bare minimum of required courses for medical school. But since I majored in history rather than a science, other options, such as law school, were also on the table. I definitively decided to apply to medical school during the summer after my junior year in college, when I volunteered as an orderly on the midnight-to-8-a.m. shift in the emergency department of a hospital in Camden, New Jersey. Being an orderly wasn’t very much fun, but I could readily imagine myself in the doctor’s role and became convinced that I would enjoy a career in medicine. What were a few key steps in your journey from an aspiring medical student to your current position as Dean of the Columbia University College of Physicians and Surgeons? I went to medical school at Yale, which was noteworthy at the time for having neither examinations nor formal grades. The trade-off, if you will, was it was also one of the very few schools that required a thesis. I really had no interest in research, but decided it was worth doing if it was a way to avoid examinations and grades. Then, much to my surprise, I found that I loved my research project, which qualified me for a joint medical and public health degree. I found a research niche at the interface between those two disciplines and decided that I was committed to a career that would include active research as well as clinical care. What was/were the most memorable experience(s) during your medical education? For me, three experiences, each very different, really stand out. First, in medical school I remember when an instructor in a course about the diagnostic process highlighted how every complaint in a patient’s history and every finding on the physical examination represented clues to what might be going wrong. I realized that, sort of like Sherlock Holmes, a doctor should listen and observe as carefully as possible and then try to understand what pathophysiologic processes could potentially explain what was going on, but also in that process to recognize that a doctor had to be especially careful not to miss low-probability conditions that needed to be addressed immediately, or else they could potentially do irreparable harm before the diagnosis was clear. Second, my experience with my medical school thesis convinced me that I wanted my career to include discovery. The same determination that a physician must have to find the right diagnosis and initiate the correct therapy could also be extended to situations in which current knowledge was simply inadequate. My goal from the beginning was to do research that would help physicians, especially when faced with uncertainty, to make better clinical recommendations to their patients. And third, throughout medical school, I was reminded of how much patients need and trust physicians. In my first year in medical school, a teacher insisted that we wear white coats and be well-dressed when he took us to see patients. We quickly realized that patients considered us to be part of the medical profession long before we actually felt comfortable in that role. And perhaps my most moving experience as a trainee was when I was an intern and took care of a patient with metastatic melanoma. The prognosis was inevitable death, and watching him cope and deal with his young family was an extraordinary lesson in humanity. To see that same disease now potentially curable is one of the great triumphs of modern medicine. What is the greatest difference between the clinical side of medicine and the administrative side? I really loved clinical medicine and was an active cardiologist for much of my career. Nothing in research or administration can possibly match the emotion, human interaction, and reward of caring for an individual human being during his or her time of need. I really enjoyed the mix of medical practice and research that focused on improving clinical care. But when I became more involved in administrative roles, it quickly became clear that I couldn’t simply neglect an important administrative task, upon which many people were depending, to break away to see a sick patient—or vice versa. By comparison, a research meeting or an analysis is a task that could be performed later in the day or even the week without substantive adverse consequences. Anyone who takes on administrative responsibilities has to be comfortable with delegating many of the things you actually like to do, so I had to learn to trust others and to serve more as a clinical advisor and facilitator rather than as a physician primarily responsible for patient care. One of the virtues of a place like Columbia, which has such great clinical depth and breadth, is that allowing others to have primary responsibility provides patients care that is at least as good as and probably even better than what I could provide myself. Given your multifaceted research interests and duties as Dean, how do you balance cutting-edge research, clinical care, and administrative duties? One of the great virtues of academic medicine is the potential ability to contribute and, hopefully, feel rewarded in different dimensions. Clearly, my major responsibility is my role as dean of both the College of Physicians and Surgeons and the entire faculty of health sciences and medicine—with nearly 2,400 full-time faculty, more than 4,000 students, and some 5,000 full-time staff. Together, we represent about 52% of Columbia University. We have an annual budget even larger than Revlon’s, so the biggest challenge for anyone in my position is to guide the entire ship without losing contact with the many thousands of people who keep it afloat. Our leadership requires terrific deans in the three other schools, multiple department chairs, and a central administrative staff—talented individuals who make it easier for great people to do great things. Individual faculty, not the Dean’s Office, see the patients, advance clinical care, get the grants, do groundbreaking research, create curricular innovation, and teach the students. My role is more like the conductor of a great orchestra or the coach of a championship sports team—to make this a great place for great people to do great things, recognizing that my role is to help others play better music or score more points. My continued research is a way for me to stay connected with my academic roots, and it provides an important change of pace from administrative tasks. The books I have written and edited have been a labor of love, and they keep me abreast of what’s going on in medical science. On the clinical side, our role is to help facilitate access to our great Columbia doctors. My biggest regret is not having more time to teach. Much of your research has focused on combating the high costs of healthcare and increasing access to healthcare. How can the medical field continually combat rising costs while still providing a high level of care? My research focuses on trying to find more efficient ways to deliver medical care, particularly by providing doctors and hospitals with better information about the probability of different outcomes. For me, the “coin of the realm” was for our research to be useful to clinicians, and especially for it to be cited on teaching rounds. One of the recurring themes has been that although a comprehensive history and physical examination are hard to argue against, most key clinical decisions actually should be based on a remarkably limited number of key findings. By helping busy clinicians understand what is most important, we can help them avoid errors of judgment or unnecessary delays in providing urgent care. We can also help both doctors and patients avoid unnecessary or low-yield tests and procedures while focusing on approaches most likely to benefit them. An individual physician’s responsibility must always be to the individual patient. However, the medical profession also has a responsibility to help society use our collective resources wisely. Sometimes, these two imperatives can be in conflict when something that might have a small chance to benefit an individual would represent a very expensive policy if extended to the entire population. Some of my research has looked at this type of challenge. Interestingly, although we often find situations in which low-yield treatments are very expensive and would make suboptimal health policy, we also often find situations in which effective and financially reasonable treatments are underutilized. As a result, we have to be careful when talking about reducing healthcare costs; what we really must focus on is the optimal uses of the resources that an informed society would like to allocate toward its own health. In a time where technology is rapidly advancing and there is a push toward “precision medicine” initiatives and moving medical records to electronic databases, how can we best streamline this process while keeping in mind patient privacy? Much of my career and much of medical research for the past several decades have emphasized large studies that have been able to show, on average, what works and what doesn’t work. This treasure trove of “evidence-based medicine” has markedly improved medical care and patient outcomes. All along, however, astute clinicians have known that some patients would be exceptions to these overall averages, but the problem was that no one could really identify accurately who those individuals might be. Just as a card player is more likely to win by following the law of averages than by routinely going against it, physicians who practice evidence-based medicine are undoubtedly right far more often than those who do not. Now, however, precision medicine, based on our ability to know key genomic information on each individual, undoubtedly will provide a new level of accuracy—knowing not only what is best on average, but being able to tell whether it is also best for the individual. We have already seen great strides in precision oncology, in which detailed information about a specific tumor can guide precise treatment. In the era of electronic medical records and genetic testing, issues of privacy and confidentiality are more important than ever. We’ve already seen numerous instances in which curiosity got the better of physicians and staff who inappropriately looked at the medical records of famous people. We’ve also seen inadvertent errors that have allowed the Google search engine to pull medical information out of medical records. We’ve even seen hospitals held hostage by hackers who threaten to leak patient data. On the other hand, no one disputes the potential for electronic information, including genetic data, to improve the coordination and delivery of quality healthcare. I would be lying if I said we had all the answers.